As London Fashion Week SS14 comes to an end, all that strutting and tailoring got us thinking about what we’re going to wear for the coming colder months. The time has come to put away those light summer jackets and pull out the winter woolies – summer seems to be officially over. When the wind starts to blow, the best thing to protect your ears is a big winter hat, and from what we hear, hats are going to be big this season. 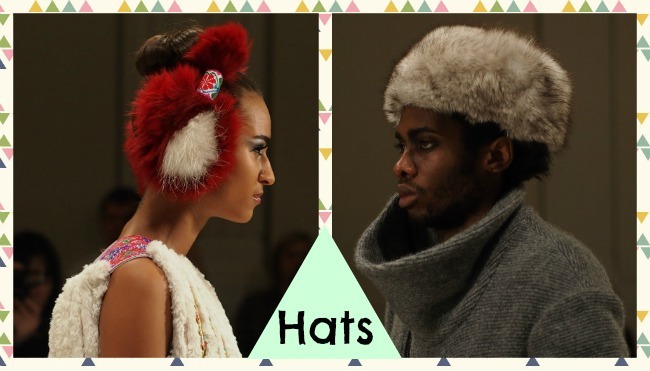 Beanies are still en vogue, as are fedoras – but our autumn and winter first choice has to be a big faux furry hat just like in these pictures above. 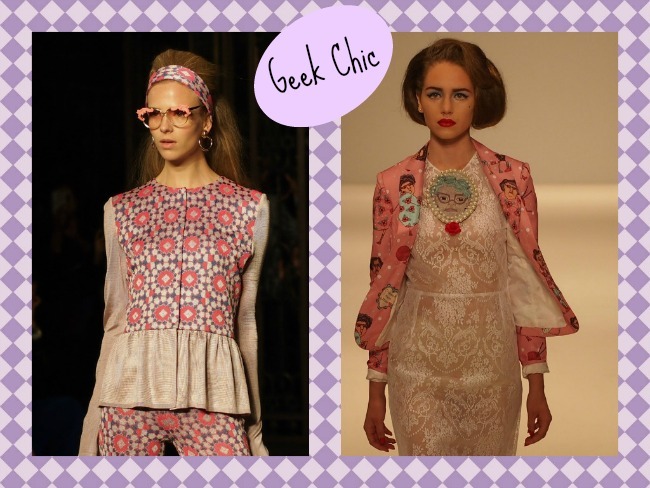 Geek chic is a trend that has been around for a while, and it doesn’t look like it’s going away anytime soon. Big glasses, matching ensembles and androgynous dressing are all part of the trend. Two pieces and granny ensembles like the one above are a fun way to geekify your evening wear and for everyday, a cardigan with elbow patches is a must-have for the coming autumn. Trying to stay warm throughout autumn, winter and sometimes even spring is always a bit of a challenge and this trend will be a favourite among those of us who hate being chilly. 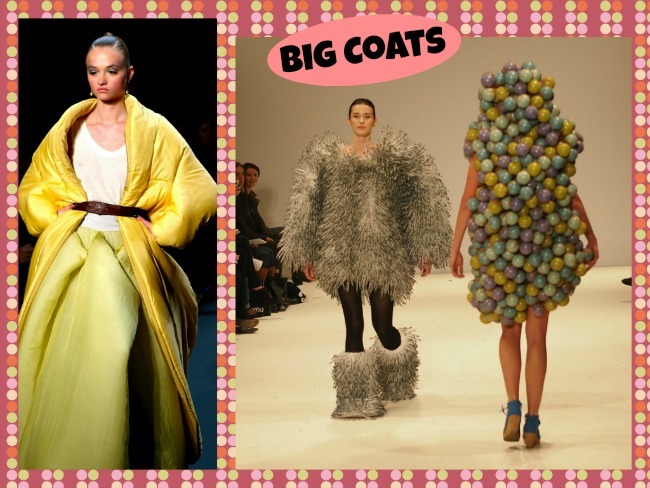 Big coats are big news this season and while you might not want to be seen walking down the street in a sleeping bag or a sea of pom poms like in our pictures above, anything oversized, statement and chunky will have you looking stylish this season. If you’re thinking of refreshing your wardrobe for the new season, or know someone who loves fashion, why not try one of our personal shopping experiences? Which trend will you be sporting this season?